Planning and co-ordinating the most amazing and luxurious functions, since 1994. 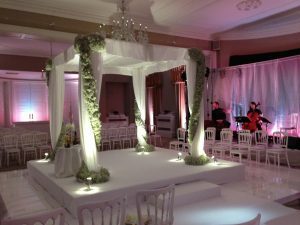 All of our planning and co-ordination services are bespoke to each client and tailored to suit you. We know how important it is to feel in control, but also understand that the prospect of planning an event can be daunting, time consuming, and sometimes stressful…especially with lots of factors and family members to please. Victoria and Linda understand the religious elements, expectations and requirements of a wedding. 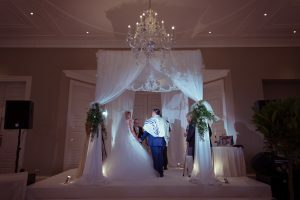 They have indepth knowledge of Jewish weddings and Barmitzvahs and will be on hand to make sure every detail is perfectly executed with precision and attention to detail. Our expert wedding and event planners have years of experience ‘hand-holding’, supporting and guiding clients through their planning journey. We are a reassuring voice at the end of the phone, no matter how small or obscure the question might seem. We act as your personal assistant, expert advisor, trouble shooter and manager. 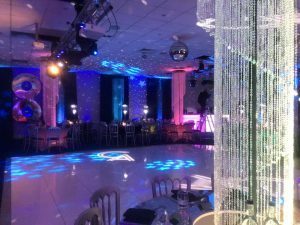 We can assist with all elements of your event, from venue sourcing, caterer, florist/ floral designer, photographer, videographer, showband, band, wedding cake, balloons and all of the finishing touches you might need. Our most popular options are detailed below and we’d love to hear from you to see how we can help.